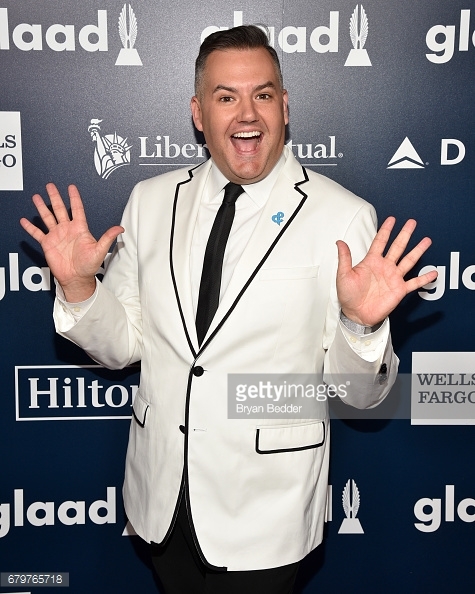 It was a who's who event at the star-studded 28th annual GLAAD Media awards this past Saturday at the New York Hilton Midtown. The event, celebrities sported blue “&” pins for GLAAD’s Together movement – representing GLAAD’s work on intersectional issues including immigration, racial justice, women’s rights, and LGBTQ acceptance. This subtle yet powerful symbol represents the power of solidarity and great accomplishments that occur when marginalized community groups – including women, Muslims, immigrants, and LGBTQ people – resist together. At the event, Andrew Rennels presented the Excellence in Media Award to Debra Messing. Other attendees included Ross Mathews, Whoopi Goldberg, Don Lemon, Rami Malek, Janet Mock, Trevor Noah, Christian Slater and Zachary Quinto.